Feel free to contact Dr. El Asmar at asmar@asu.edu or 408-727-9023 for any questions. Lisa Washington joined DBIA in 2004 and quickly rose to become Executive Director/CEO. She is a Certified Association Executive and has been working tirelessly over the last nine years to grow DBIA into the organization it is today. We sat down with her recently to discuss some of her contributions to the organization. After a nine-month procurement process, California American Water has selected CDM Constructors, Inc. to design and build the desalination facility proposed as part of its $320-million Monterey Peninsula Water Supply Project. CDM Constructors ranked highest of the four finalists on a combined business, technical and price evaluation. CDM Constructors submitted a proposal of $86 million for the desalination facility portion of the project, which is consistent with earlier estimates from a consulting engineering firm. CDM Constructors' bid was the lowest of the four proposers, with other proposals ranging from $90-110 million. The Nevada Transportation Department request for authority to use $100 million in bond proceeds to buy right-of-way for the Interstate 15 widening project called Project Neon won approval recently from lawmakers. The approval came despite questions and skepticism from some lawmakers about the public-private partnership the agency would enter as a way to speed construction and build the project in four or five years, with completion in 2020. Looking for similar articles? Search here, keyword DBIA MILESTONE. Opus Design Build, L.L.C. recently completed construction on a 41,872-square-foot warehouse expansion for Chicago Tube & Iron in Eagan, Minn. Located near Lone Oak Road and Interstate-35, the addition provides Chicago Tube & Iron more space for its expanding operations in the metropolitan area. Hazelwood West High School, located outside St. Louis, Mo., serves approximately 2,400 students and 300 faculty and staff. When the school first opened, it included an underground dry-pit pump station that conveyed sewage from its campus to the public sewer. The pump station consisted of a buried wet well connected to a buried pump vault with duplex, centrifugal pumps. Occasional sewage backups from the aging equipment led to a decision by school officials to replace the original station nearly 40 years later. Original specifications demonstrated pumping conditions of 400 gpm (25 lps) at 60 feet (18 m) TDH. Backers of the proposed $400 million Canadian effort to build a larger commercial train tunnel underneath the Detroit River said that they will soon have all financing and approvals in place, and construction will begin in the second or third quarter of 2014. The project still lacks half its estimated funding needs and some of its regulatory approvals. Hundreds of people gathered in Minneapolis recently for the formal groundbreaking for the new billion dollar Vikings stadium. Construction crews were poised to begin significant excavation in the Metrodome's parking lot. Vikings owner Zygi Wilf said the day was a long time coming. More than 117 major construction programs, worth $1 trillion, are planned for 2030 across the GCC region, according to a report from EC Harris. The projects span retail, real estate, leisure, health, education and transportation as revealed in "Middle East Major Construction Programs: Mitigating the Delivery Risk." And at the heart of driving these forward is Building Information Modeling (BIM) software, which will be on show at this year's Big 5. John Stuckey, a partner at Stuart & Branigin LLP, recently served as a panelist for a discussion about how public-sector architects and engineers perceive the design-build method for new construction. The Central Indiana chapter of the Design-Build Institute of America — Great Lakes Region, appointed Stuckey to the panel based on his familiarity with design and construction law. Stuart & Branigin LLP has provided legal services since 1878. Over the past couple of construction seasons, the Minnesota Department of Transportation has rebuilt portions of Interstate 35 between Forest Lake and Duluth and repaved others. It took a lot of time and cost a lot of money, but the result is a smooth ride for motorists traveling between the Twin Ports and the Twin Cities and should serve them well for years to come. Management consulting firm McKinsey & Co. believes massive sums of capital will be needed to keep up with the world's economic development—and private firms like Morgan Stanley and BlackRock are lining up to make money from the demand. "We basically need to replace all the infrastructure stock on the face of the planet. It's an enormous amount—and then some," Robert Palter, co-head of McKinsey's global infrastructure practice, said at the Infrastructure Investor's LP Summit in New York City. The plans began during John Engler's governorship in the 1990s. In another decade or so, they could come to fruition. Not all are pleased with the progress. The Southeast Michigan Council of Governments Commission voted 24-7 to move forward on a $2.3 billion project to add a traffic lane to Interstates 94 from Conner west to I-96, and I-75, from Eight Mile north to M-59. Hundreds of people gathered in Minneapolis for the formal groundbreaking for the new billion dollar Vikings stadium. Construction crews were poised to begin significant excavation in the Metrodome’s parking lot. Vikings owner Zygi Wilf said the day was a long time coming. While setbacks and delays are common in the construction industry, certain projects stand out from the rest of the pack for the sheer amount of time and money they needed to finally reach completion. Here are eight of the world’s most costly and time-consuming construction projects. With Congress facing a major shortfall in transportation funding next year, a House bill introduced Dec. 4 would raise the federal gasoline tax by 15 cents per gallon to close the gap. Rep. Earl Blumenauer, D-Ore., announced the proposal at a news conference, flanked by an array of labor, construction and business leaders. It would raise the federal tax on gas to 33.4 cents per gallon and on diesel to 42.8 cents. The New Orleans Sewerage & Water Board unveiled its plans to spend $157.6 million on operations and a whopping $723.4 million on repairs and improvements to its crumbling infrastructure next year as the first of eight years of water and sewer rate increases comes to a close. Deputy Executive Director Bob Miller tried to assure the small assembly at the Port of New Orleans that the money is there: The water board's aspirations are fully financed through a combination of federal aid, revenues and borrowed cash, he said. As the U.S. looks for ways to rebuild and improve weakening infrastructure, technology solutions offer a means to complete the work more efficiently. That’s one of the predictions from a recent report on the nation’s infrastructure, which also says public engagement is important to rebuilding efforts. Call for Nominations: 2014 Transportation Leadership Awards! 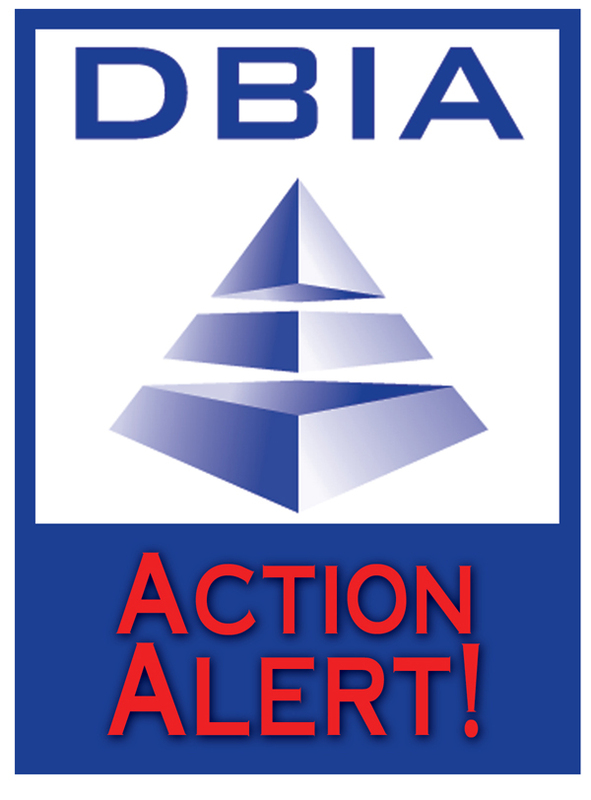 If you know an owner organization or individual in the transportation field who uses design-build as a project delivery method and has made significant contributions to advancing design-build awareness and understanding, consider nominating them for a 2014 DBIA Transportation Leadership Award. Nominations are being accepted through January 20 and should be sent to Stephenie Zvonkovich at szvonkovich@dbia.org.